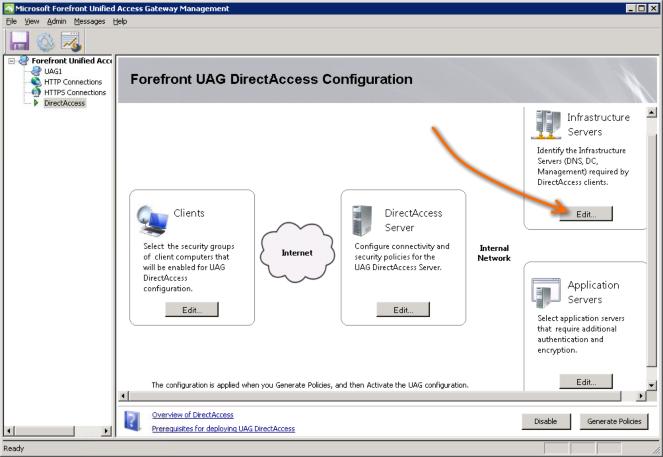 UPDATE: My guide for Configuring DirectAccess with UAG Service Pack 1 has been released! Read it here. 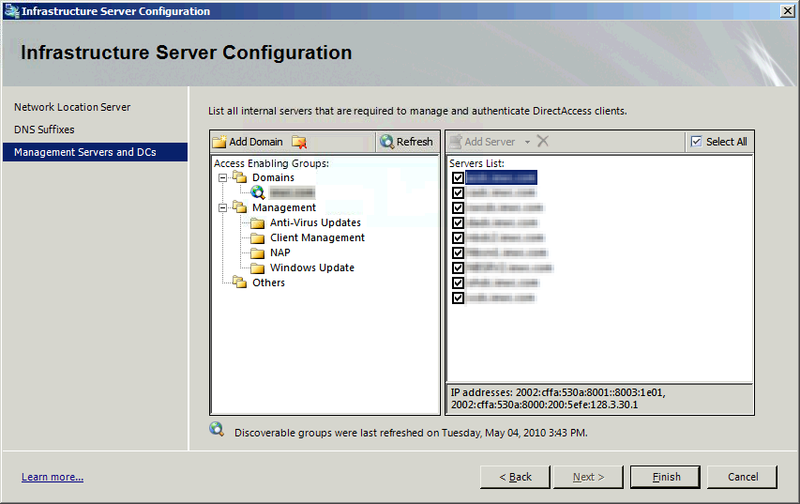 The final page of this wizard lists all of the resources that a DirectAccess enabled computer should know about even before a user logs in. 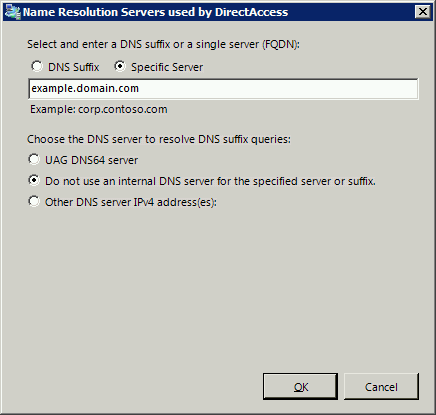 This includes Domain Controllers so machines can update their group policy, Anti-Virus servers so definitions can be updated, Client Management servers like WSUS and System Center Configuration Manager so software updates can be applied, etc. 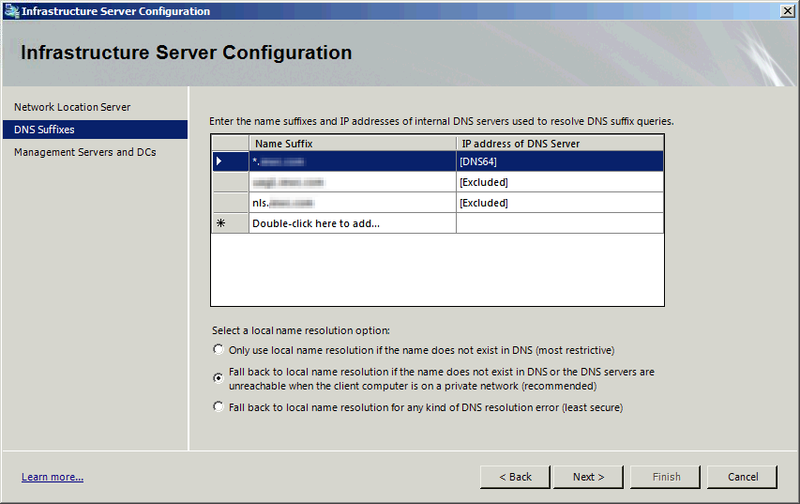 The domain controllers should be entered for you already, you'll just need to add any other hosts you deem appropriate. 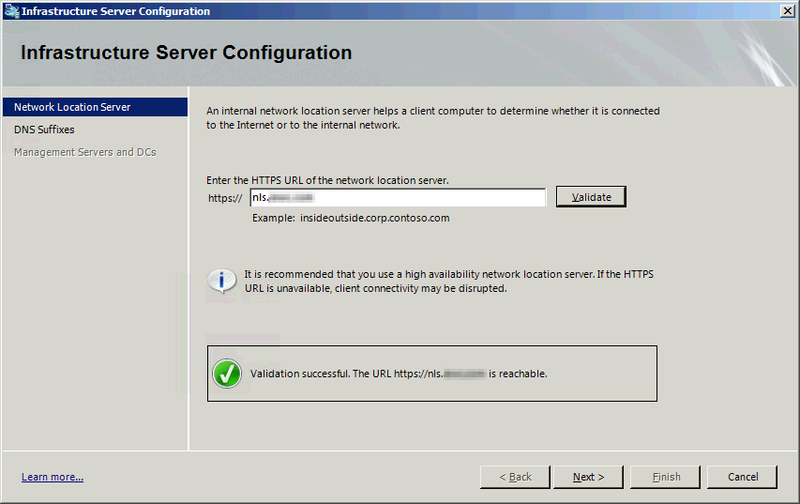 Here is some pretty detailed information about that particular piece of the configuration wizard. Keep in mind that if you change the IP's or names of the servers you list here you will need to re-run this wizard and regenerate your policies (a step I haven't covered yet). Clients will then need to process group policy to get the new settings and thankfully DirectAccess clients do that naturally.